This year’s books from Hourigan & Co. authors - Hourigan & Co. In 2014 Hourigan & Co. has established a new niche in serving self-published authors, and with the year almost half over we already have several projects out. We’re overdue for a site update to show off what we’ve been working on this year, which includes a range of business-oriented projects as well as our books. For the moment, it’s time for a short post on the self-published works we’ve helped put out this year. Our aim is to help self-published authors create better books by giving them access to professional-grade services including editing, cover design, e-book production, and print typesetting. The works below all follow our model of assisted self-publishing. In exchange for a fee, we provided all the services each client specifically required to get their book published in the formats they wanted. For those publishing in print or e-book format at major retailers, or through their own website, we took them through setup of the necessary accounts and uploaded files on their behalf. We also give ongoing mentoring to many of our authors on sales and marketing, as well on the writing of their forthcoming projects. Unless otherwise mentioned, we didn’t necessarily proofread or edit the projects below—many of our clients come to us with manuscripts that have been edited elsewhere, and in some cases ask that no changes or corrections be made. In the list below I’ve given Amazon links to all titles. All the books we help our clients self-publish are also available on iBooks, Kobo, Barnes & Noble, Smashwords, and a range of other retailers. Here are our books for the first half of 2014. 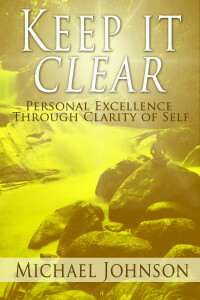 This self-help book written by a Melbourne NLP practitioner is one of the most complicated projects we’ve ever done. We took this all the way from manuscript through to production, doing a final proofread before commissioning illustrations and a cover design, typesetting the manuscript, which was highly structured and included a large number of tables and workbook sections, and creating and publishing e-book files for a range of platforms. For this one we worked on an extremely tight deadline of only six weeks from start to finish, working a few twelve-hour days at times to make sure Vesna had the e-book published and a bulk order of print copies on her doorstep in time for her to promote it at a series of conference and trade-show speaking opportunities. For Grant Finnegan’s debut action thriller, set in and around Uluru, we took an edited manuscript through to print and e-book publication. We’re especially pleased with the dynamic visual presentation of this book, which sports a high-impact professional cover and numerous interior illustrations by the author. 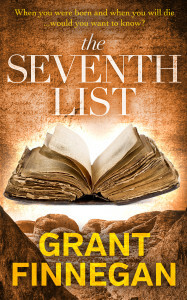 Grant also engaged us to commission the design of his website, which presents a unified brand identity consistent with The Seventh List’s cover. On top of all that, Grant’s book is a great read. Particularly for those who share his love of the thriller genre, including fans of his favorite authors (which included Matthew Reilly and Clive Cussler), The Seventh List is well worth checking out. 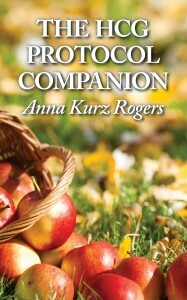 This 13,000 word book by diet coach Anna Kurz Rogers is one of our standout commercial successes. 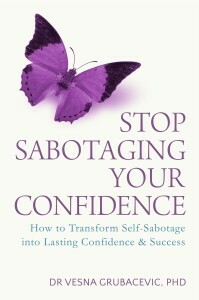 We edited Anna’s manuscript and produced PDF and e-book files for publication on all major retailers. We also created a website for the book that allowed Anna to sell the book directly to customers using an amazing online service called Payhip. Selling the book to existing networks in the community for her specific network, Anna defied the accepted wisdom that first books don’t make money quickly, racking up thousands of dollars in sales within the first few months. We were stunned by how popular the PDF format was with Anna’s customers, and began offering PDF sale facilities to all our clients thereafter. Following from the success of The hCG Protocol Companion, Anna engaged us to slightly revise the book, and the Changing Habits organization where she works as a diet coach asked us to produce a special, branded version of The hCG Protocol Companion to be provided exclusively to their clients. 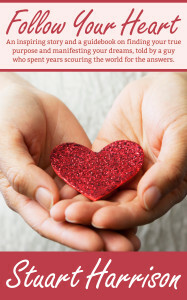 This short e-book of around 8,000 words is the story of yoga teacher and life coach Stuart Harrison’s journey of overcoming his personal troubles and shortcomings to seize deep fulfillment in life and love. For this project, we edited the manuscript, typeset a PDF version ready for screen and print, and produced e-book files. We also reconstructed a low-resolution cover into a format suitable for upload to major retailers. It is now available for free at one of Harrison’s own websites as an incentive to supply your contact details. Keep it Clear distills the wisdom and experience life coach Michael Johnson accumulated over a fifteen-year career in many industries. For this project, we edited the manuscript, typeset a PDF for on-screen reading, and produced e-book files for publication on all major retailers. Hourigan & Co. continues what is so far my ten years’ experience as an editor and publisher, and as a self-published novelist. With a background in creative writing, publishing, and literary studies, I originally imagined we would publish mostly novels—fiction being the most glamorous and talked-about part of independent publishing just as it is in traditional publishing. I’ve been surprised, then, that many of my most motivated and successful clients work in the broad field of self-improvement. We have diet and life coaches distilling their expertise for a wider audience, a real-estate agent explaining how ordinary investors can build a property portfolio, and a PhD-qualified NLP practitioner giving expert guidance on self-confidence. And on top of that, we’re occasionally invited to take part in great fiction projects like the Seventh List. What links all these projects together is that they represent our clients fulfilling their dreams of becoming published. This allows them to present their work to a worldwide audience so that they can begin to grow a readership and develop as authors through interaction with their fans. In what remains of 2014, we’ll be helping still more independent authors start and build their careers.